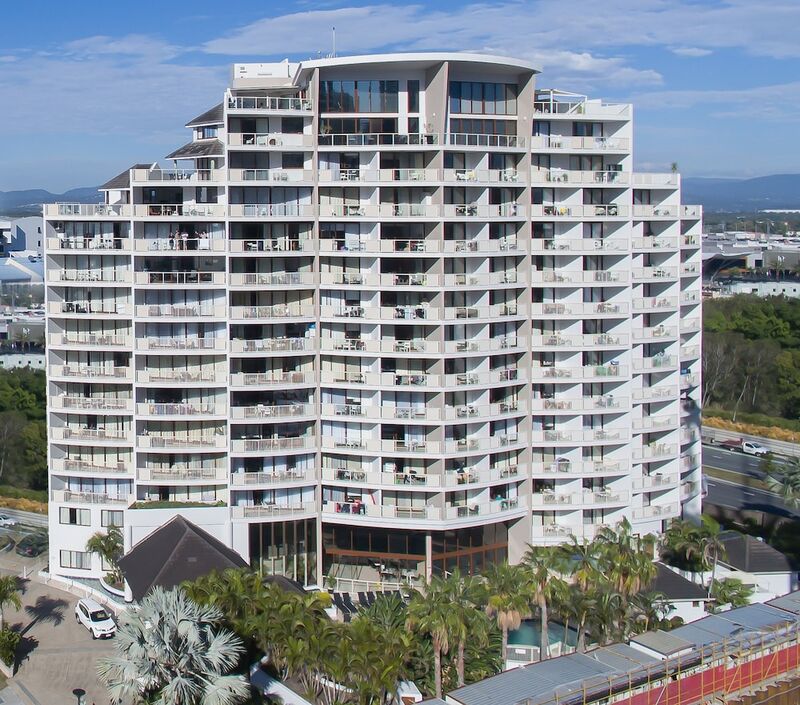 A stay at Broadbeach Savannah Hotel & Resort places you in the heart of Broadbeach, within a 10-minute walk of Pacific Fair Shopping Centre and Gold Coast Convention and Exhibition Centre. This 4-star apartment is 0.5 mi (0.8 km) from The Star Gold Coast and 0.3 mi (0.5 km) from The Oasis. Make yourself at home in one of the 53 air-conditioned rooms featuring microwaves and flat-screen televisions. Wireless Internet access (surcharge) keeps you connected, and cable programming is available for your entertainment. Bathrooms have complimentary toiletries and hair dryers. Conveniences include separate sitting areas and electric kettles, and housekeeping is provided weekly. Satisfy your appetite at the apartment's restaurant, where you can take in the pool view. Snacks are also available at the coffee shop/café. Quench your thirst with your favorite drink at the bar/lounge. Continental breakfasts are available daily from 7 AM to 9:30 AM for a fee. Featured amenities include limo/town car service, express check-out, and dry cleaning/laundry services. Planning an event in Broadbeach? This apartment has 2153 square feet (200 square meters) of space consisting of a conference center and a meeting room. A roundtrip airport shuttle is provided for a surcharge during limited hours, and free self parking is available onsite. Onsite venue - Overlooking the pool, this restaurant serves breakfast only. Open daily.